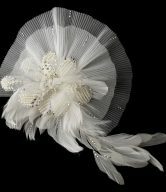 Elegant, dreamy and quite ravishing, this truly remarkable Rhinestone and Crystal Bead Feather Fascinator Bridal Hair Clip will make you feel absolutely exquisite on your big day! 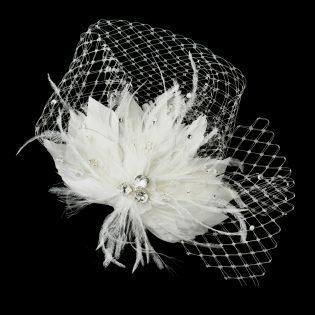 This stunning feather fascinator is the perfect way to add glamour to your classic or modern wedding. 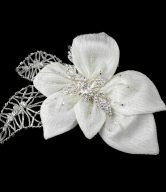 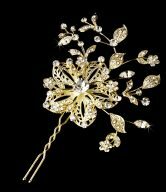 It’s a beautiful and elegant flower with feather bridal hair piece accented with sparkling rhinestone blooming from the center. 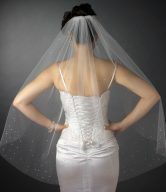 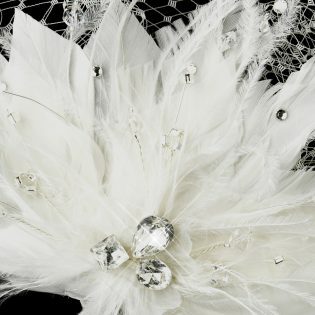 It features a breathtaking arrangement of fabulous white or ivory feathers adorned with glittering clear rhinestones and dazzling clear crystal beads and set above a spectacular birdcage veiling. 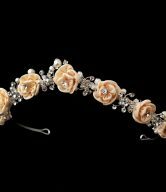 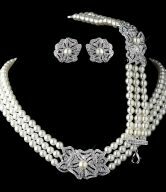 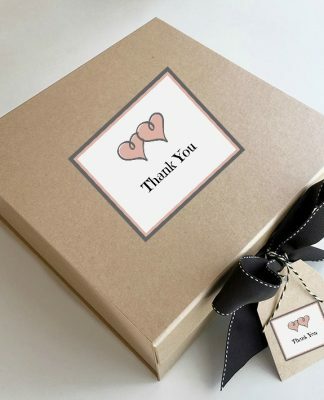 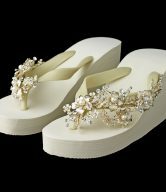 It is an elegant accessory, usually worn on the side or towards the back of an elegant hairstyle (usually an up-do). The Rhinestone Bridal Feather Fascinator is a stunning headpiece for your modern bride. The fascinator measures 9″ wide and 6″ tall, resting on top of a hair clip.